For nearly a century, Alice Hastings Murphy, B.A.’40, enjoyed a close relationship with the New York State College for Teachers (NYSCT) and its successor institution, the University at Albany. Through a planned gift to the University, she will forever remain connected with her beloved alma mater. Hastings Murphy passed away Dec. 31, 2011, at age 94. 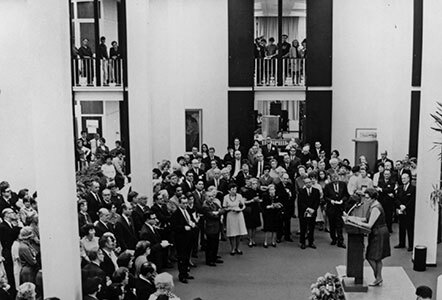 Her $2.2 million bequest is one of the largest gifts from an individual in UAlbany’s history, and the largest for University Libraries support. Her parents taught at NYSCT, and Hastings Murphy grew up on what is now UAlbany’s downtown campus. She earned a bachelor’s degree in library science at the college and later completed master’s studies at Columbia University. Hastings Murphy returned to Albany in 1948 to join the staff of the University Libraries. She remained with the institution during its transformation from college to state university. 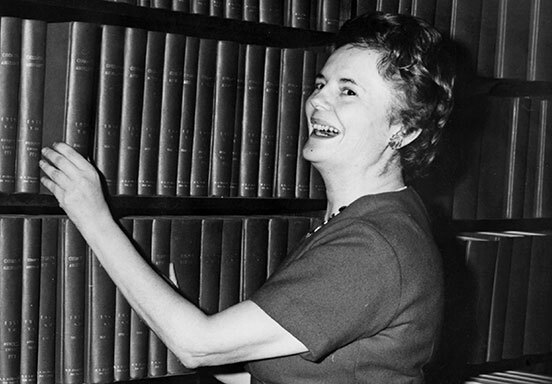 The first person to hold the director of University Libraries title, Hastings Murphy played an integral role in the libraries’ massive growth during the 1960s. She retired in 1970 as head librarian but remained involved with the Friends of the Libraries, of which she was a founding member. To honor her parents’ memory and their many years of service to the University, Hastings Murphy established the Harry and Louise Clement Hastings Fund, which supports the purchase of literary materials and the preservation of library collections. Her fellow Friends of the Libraries created the Alice Hastings Murphy Scholarship to support students planning careers as library professionals. The Preservation Department will be named in Hastings Murphy’s honor Oct. 10.